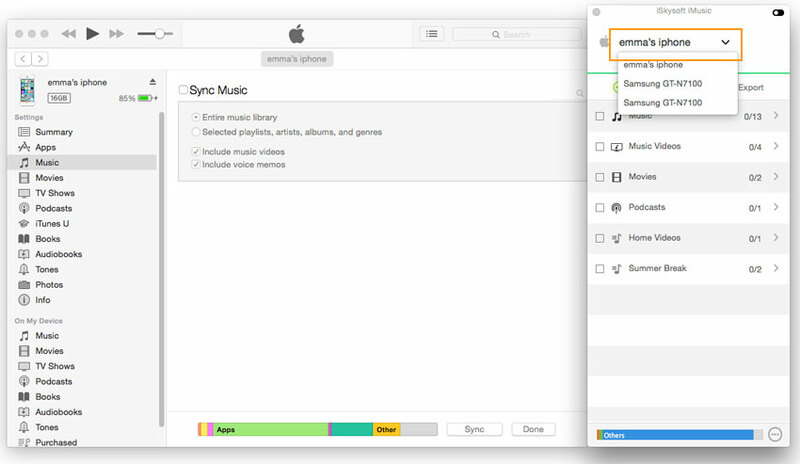 After switching iMusic as a plug-in for iTunes Library, you can connect multiple devices with your computer, letting the software manage music on the devices. To toggle among devices, you need to click the drop-down list to select the device. After selecting a device, you can use the music on the device to rebuild iTunes Library by transferring music from the device to iTunes Library.